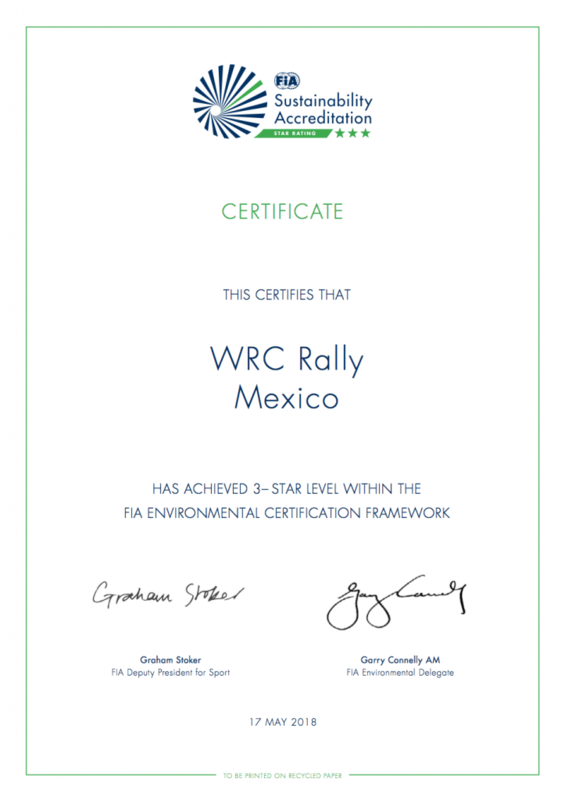 For the Rally Guanajuato Mexico; The issue of sustainability is of great importance, and that is why it has been essential to implement measures for the conservation and improvement of the environment. Our commitment is that the organizing committee and the people involved in the event such as spectators, volunteers, government entities, competitors and teams, among others; can participate in this initiative of responsibility and together we can achieve a clean and sustainable rally. The Rally Guanajuato Corona not only has a commitment at a sporting level but also at a social and environmental level. Our main objective in 2018 was the measurement of waste, which helped us collect data and modify, by 2019, the collection and recycling process for the benefit of the rural communities where the rally takes place. We are aware and committed to the issue of sustainability. We know that it is not an easy road, but it is the beginning of a great work in which we know we can all contribute.